Any rental contract comes with the condition to clean the house and leave it in the situation before it was rented. In the hustle and bustle of leaving a rental property, cleaning it completely definitely makes the process even more complicated. It might look to be a simple contract but when one actually faces the reality, the requirements of the landlords might be rather stringent and the task might become painful. Our cleaning agency is called Cleaners Putney and delivers professional end of tenancy cleaning services in Putney – London. You may use our cleaning professionals to deep clean your property. Our move out cleaning solutions cover all areas of your house or flat. We give 48 hours of guarantee for this service. It means that we will send our team to re-clean your property for free if the landlord is not happy with the standard of cleaning. The cleaners that will clean your property have an industry experience of more than 10 years which brings in expertise and professionalism. 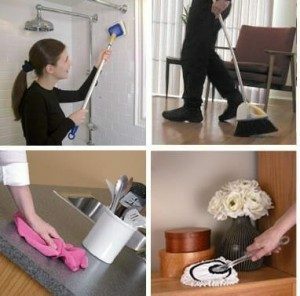 They are equipped with the best cleaning tools and have the necessary skills to use them well. Cleaning of kitchen utensils and articles like refrigerator, microwave etc. We also provide special cleaning services that can also be combined with our carpet or upholstery cleaning for a completely renewed look of the house at a very small additional cost.